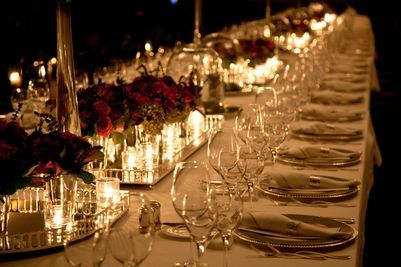 From the initial designs, theme selection, budget organization, all the way to closing the doors, we can handle every piece of the special occasion. Corporate Parties, Weddings, special birthdays, we are here to help. Would you like a special performance at your event? P2E has the resources to provide you A-list talent anywhere in the world. Whether it's an intimate dinner on the beaches of Hawaii, or a masquerade event in Venice, or an expedition through Africa, we can make your dream a reality with our Destination Services team. We can assist with accommodations, private charter planes, entertainment, and gifts for your guests as they enjoy your incredible experience. From International sporting events like Wimbledon, World Cup, Olympics, SuperBowl and Grand Prix, to Festivals like Cannes Film Festival, Venice Film Festival or Coachella, we can coordinate every detail such as tickets, private vehicles and VIP access to the best parties in town. Host an exclusive event on your private yacht, or charter one to accommodate your needs. We can handle every detail from finding the right yacht, to provisioning and guest lists. A growing number of private clients and corporations are choosing the Cruise Charter option to cater to their guests and employees. The opportunities are endless when it comes to customizing the experience from start to finish. Whether it's a charity you're passionate about, or a nationwide initiative that brings good to the world, we can help you with setting up fundraisers, government events and elevate your publicity. When all you want is to give your child the best of the best, plan on having a unique birthday party planned just for them. Stand out from the other parties and be the talk of the town with these specialized themed birthday parties.